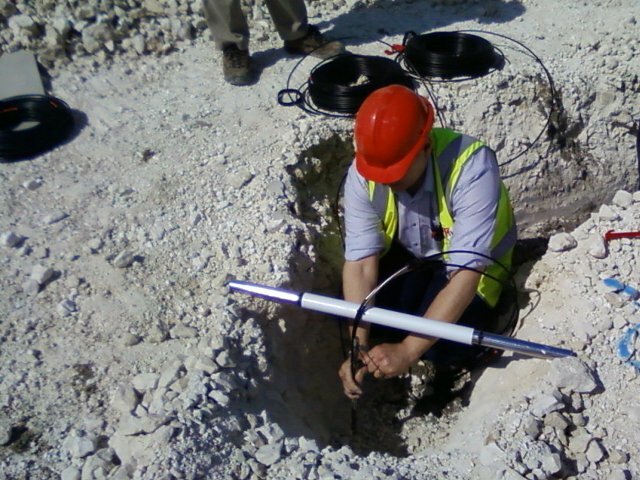 From each place where an antenna is located, a trench is dug into the ground. It leads into other trenches and gradually these make their way to the RF-container, where the signal is combined. The placing of the cables is critical; the exact lengths must be measured so that the exact timing of the signal arrival is known. This is because LOFAR uses software and timing between the signals from different antennas to "point" to different parts of the sky. 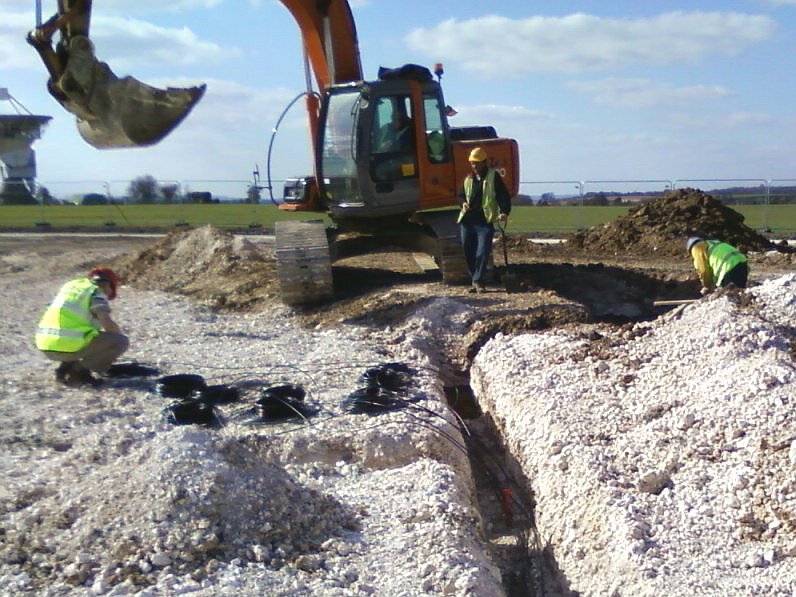 The cables must also be protected - ultimately, they will be safely buried underground. But for a short time they will be in open, exposed trenches, so this is a critical phase of the installation. Below, Harry Smith is positioning the start of two HBA cables. These are measured to ensure they have sufficient ground clearance. They are then sealed and attached to the survey peg. The cable laying is a carefully coordinated operation between the different groups involved. Here the digger-crew wait for the all-clear from the cable-team before proceeding to open the next section of the trench. What physical processes do we observe with LOFAR?